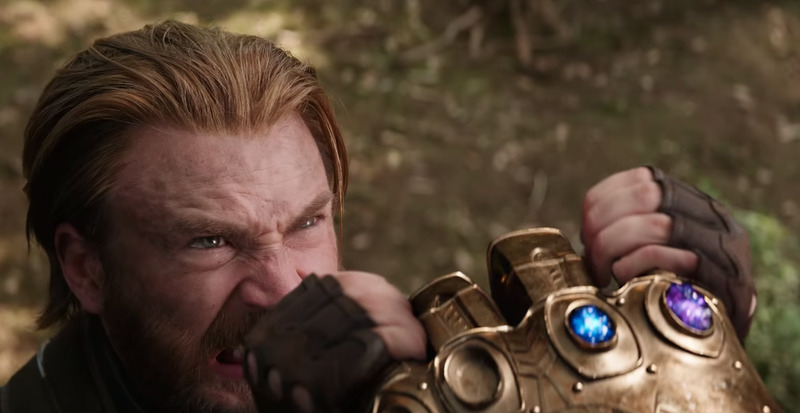 The new “Avengers: Infinity War” trailer dropped Friday, and it teases plenty of action and peril for the characters we have come to love (or hate) for the past 10 years. Beloved characters like Iron Man, Thor, and Captain America face dire situations as the villain Thanos terrorizes the Avengers and Guardians of the Galaxy. But it’s not all doom and gloom. 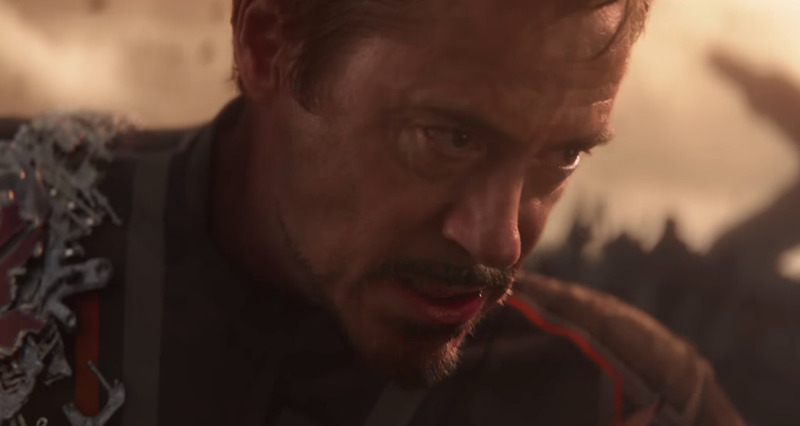 The trailer teases much-anticipated reunions, like Bruce Banner and Black Widow; and meetings, like Doctor Strange and Spider-Man, and Iron Man and the Guardians of the Galaxy. For most viewers, the trailer will be a riveting tease at the blockbuster, but more eagle-eyed fans may notice a few key details. For those confused as to what the glowing stones are that are so prominent in the trailer and what they mean for the fate of our heroes, we have you covered. 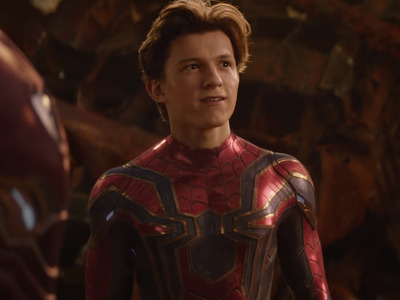 And what’s up with Spider-Man’s new suit? We broke down the trailer to highlight those details and more, both the hidden and the not-so-hidden – and what it all means. Thanos is after the Infinity Stones. To understand what’s going on in the new trailer, you have to understand what Infinity Stones are. The big bad guy of the movie, Thanos, wants to “wipe out half the universe,” as his adopted daughter Gamora says in the beginning of the trailer. To do that, he has to acquire six Infinity Stones, which are immensely powerful, reality-bending stones that give the user unimaginable power when collected into one glove, called in the comic books the Infinity Gauntlet. The space stone was last seen aboard that giant space ship we see Thor and his pals escaping the planet Sakaar in at the end of “Thor: Ragnarok.” It’s inside the Tesseract, that glowing-blue cube we see in “The Avengers” – until “Infinity War,” when Thanos seems to get his hands on it, as evidenced by the above and previous photos. Recall that an even larger ship finds Thor and his friends at the end of “Rangarok.” That’s probably Thanos. …and Loki probably helps him get it because he’s the worst. 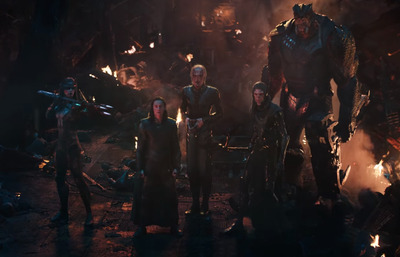 This is Loki with some of Thanos’ minions, known as the Black Order. They are standing among rubble that could be the aforementioned ship Thor and friends are on at the end of “Ragnarok.” If Thanos attacks, it would make sense for this to be where the devious Loki betrays his brother Thor (again), and hands the space stone over to Thanos. Doctor Strange has the green time stone. In “Doctor Strange,” Stephen Strange, played by Benedict Cumberbatch, acquires the time stone, which is contained in the Eye of Agamotto around Strange’s neck – an ancient artifact that helps control the stone. 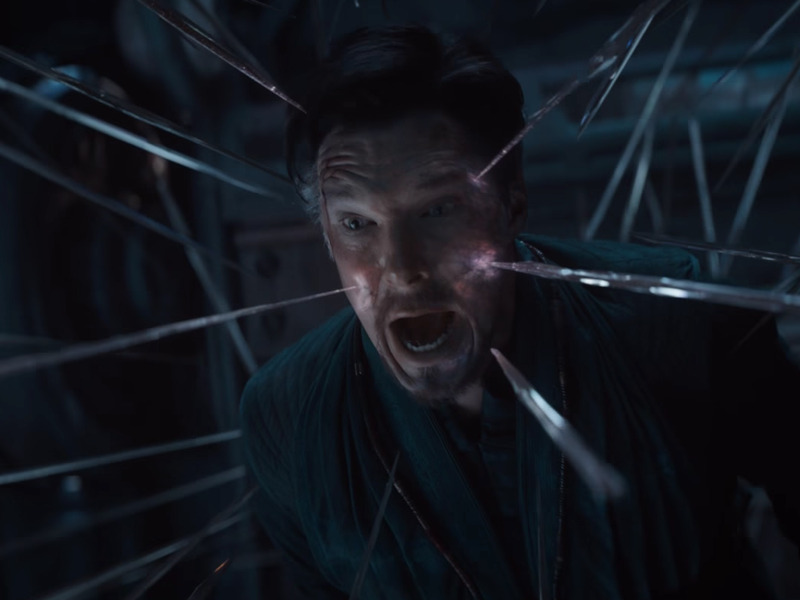 In “Doctor Strange,” Strange uses the stone to trap the demon Domammu in an infinite time loop, so it’s extremely powerful. In “Avengers: Age of Ultron,” the mind stone brings to life the Vision, a highly advanced android, played by Paul Bettany. … which, judging by the worried expression on Scarlet Witch’s face, doesn’t bode well for Vision. If Thanos is after all of the stones, and one is in Vision’s head, it doesn’t take a lot to assume that means bad things for the android. In the comic books, Vision and Scarlet Witch, played by Elizabeth Olsen, share a romantic relationship for some time. The purple power stone is in the possession of the Nova Corps … for now. In “Guardians of the Galaxy,” the power stone falls into the possession of the galactic police force the Nova Corps. But judging by the “Infinity War” trailer, it would appear that Thanos gets his hands on it. 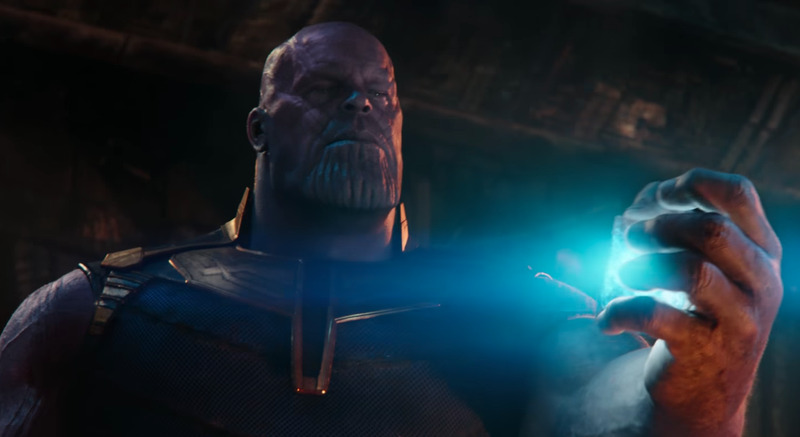 In one of the final shots, you can see the purple stone on Thanos’ glove, along with the aforementioned blue space stone. The red reality stone is with the Collector … and the orange soul stone has yet to be revealed. 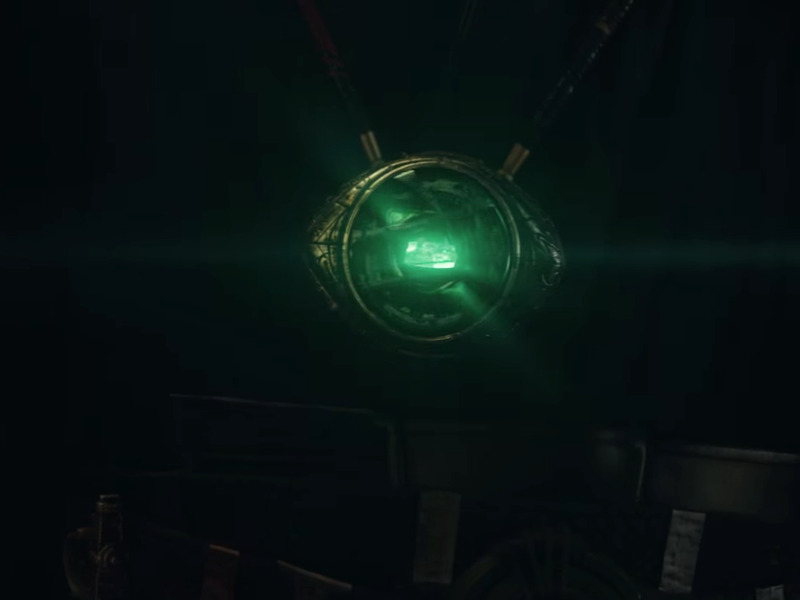 In the end credits scene of “Thor: The Dark World,” the Collector, played by Benecio del Toro, is given the reality stone. Speaking of Wakanda, the gang is back together to protect Vision. 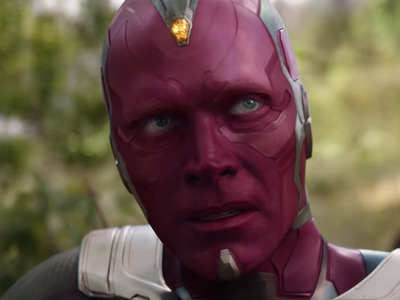 As stated, we know Vision is in some trouble in this movie. Anthony Russo, one of the directors of “Infinity War,” told Entertainment Weekly that Captain America, played by Chris Evans, brings Vision to Wakanda to protect him. That implies that the climax of the movie will take place in Wakanda. The Avengers were torn apart in “Captain America: Civil War,” but Thanos seems to bring them back together. 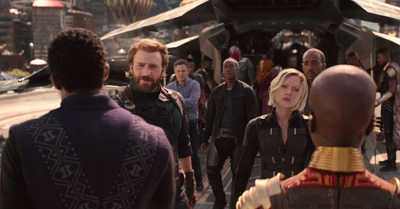 In this photo, we can see Cap with Black Widow, Falcon, War Machine, Scarlet Witch, Vision, and Bruce Banner meeting T’Challa/Black Panther in Wakanda. Since we know protecting Vision is a central plot point, this image makes more sense. 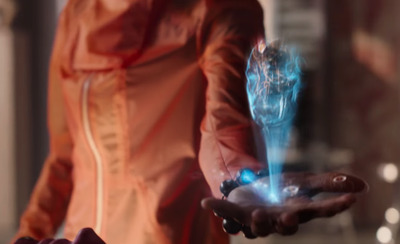 This is Shuri, T’Challa’s sister and Wakanda’s tech and science specialist played by Letitia Wright, with a hologram of what looks like Vision’s head. She’s probably explaining the mind stone and why it’s important because she’s super smart. In the 2007 Marvel comic book event “Civil War,” in which “Captain America: Civil War” is loosely based on, Spider-Man dons a similar “Iron Spider” suit. Iron Man gives him the suit because Spidey is originally on Iron Man’s team in the debate over whether to register superhumans with the government. The suit has three spider-like metal legs that extend from the back of it. It doesn’t look like Spider-Man’s suit in “Infinity War” is that intricate – from what we’ve seen, anyway. … and the Hulkbuster armour returns! 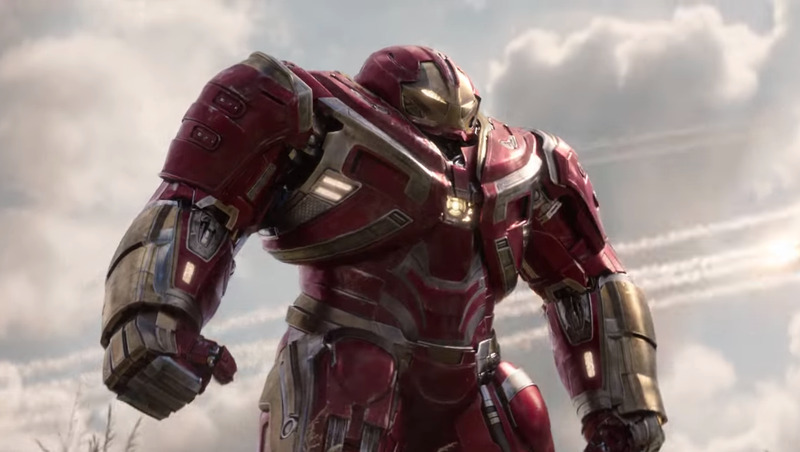 We haven’t seen this giant Iron Man suit since “Avengers: Age of Ultron,” but it looks like it’s coming back for “Infinity War” to face off against Thanos – and with a slightly different design. There are flashbacks to Gamora’s childhood. Thanks to the “Guardians of the Galaxy” movies, we know Gamora and Nebula are the adopted children of Thanos. In the new “Infinity War” trailer, we see Thanos with a green child, who we can assume is Gamora in a flashback to her childhood. It almost makes you like Thanos, doesn’t it? Notice how his suit almost completely destroyed. 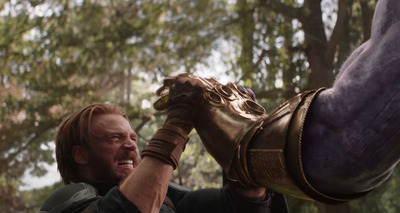 At least he doesn’t have all of the stones in this scene, remember? 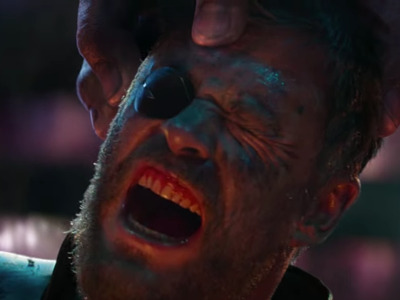 Remember when Thanos attacks Thor’s ship and Loki probably hands over the space stone? This is probably during that whole thing. … and even Doctor Strange, who we assume wouldn’t die because he’s only had one movie for himself. We don’t exactly like Thanos on second thought. But even with all of our heroes in trouble, at least they’re in the trailer. Where’s Hawkeye? As my colleague has pointed out, Hawkeye is in none of the trailers or posters for “Avengers: Infinity War.” Neither is Ant-Man, but at least he’s appearing in his own movie this summer. There’s no trace of Hawkeye, which could mean he doesn’t survive long, if he’s in the movie at all. 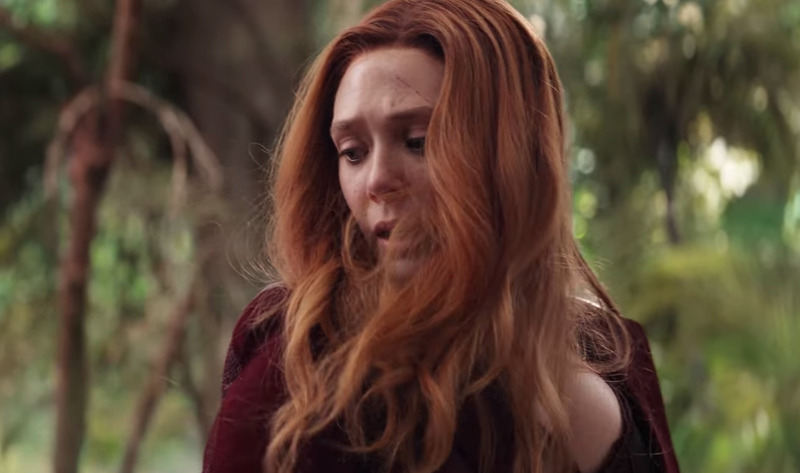 But one shot in the trailer is the most mysterious, when Scarlet Witch seems to be in trouble at 1:36 in the trailer. You can notice a hand grasping something in the bottom right corner, but whose hand is it? Could it be Hawkeye? Probably not, but we can dream.